If there is one thing that can single-handedly move human beings from reactivity to proactivity, it is interactivity. That is why we have devoted a whole section in the Project Success Grid to “Connections among Qvest stakeholders”. 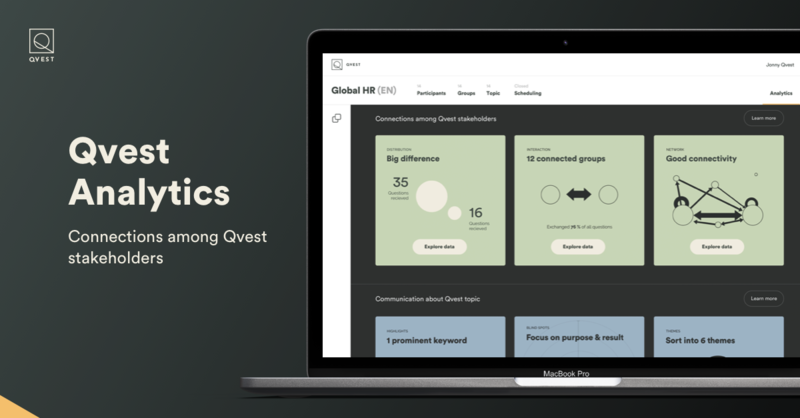 The Distribution feature displays how the questions were distributed among the different groups and stakeholders in your Qvest. Your Distribution key finding will show the difference in question distribution when there is more than 10% difference between the group that received the highest number of questions and the group that received the lowest number of questions. Similarly, it will show big difference in question distribution when there is more than 100% difference between the group that received the highest number of questions and the group that received the lowest number of questions, and no difference in question distribution when there is less than 10% difference between the group that received the highest number of questions and the group that received the lowest number of questions. The top box and the two small boxes to the right show the number of questions received per stakeholder. 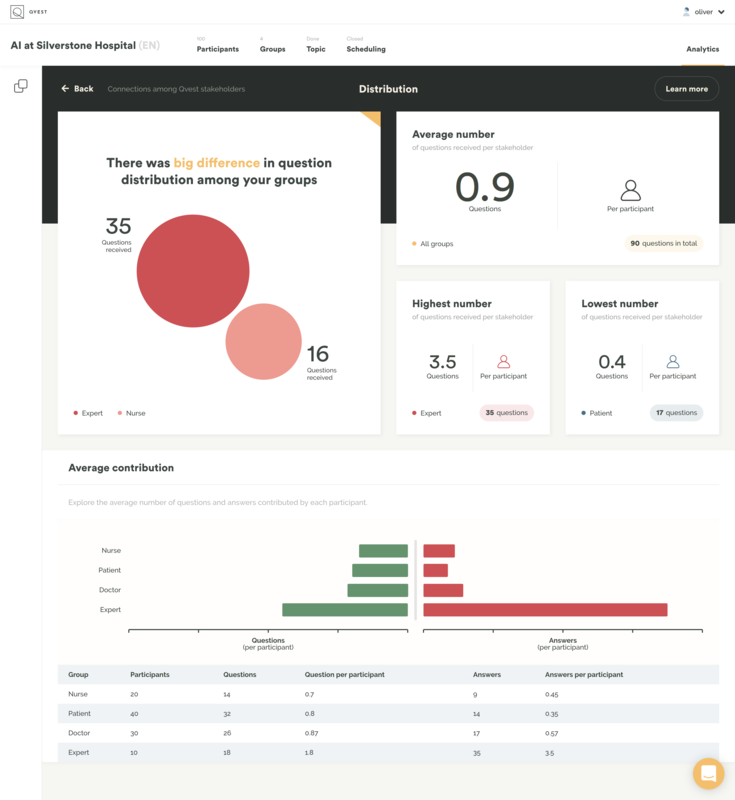 Below the Distribution findings, you can explore the average number of questions sent and answered per participant in all your stakeholder groups. While the Distribution feature focuses on the different groups in your Qvest (the nodes in the network), the Interaction feature focuses on the interaction between the groups (the strings in the network). 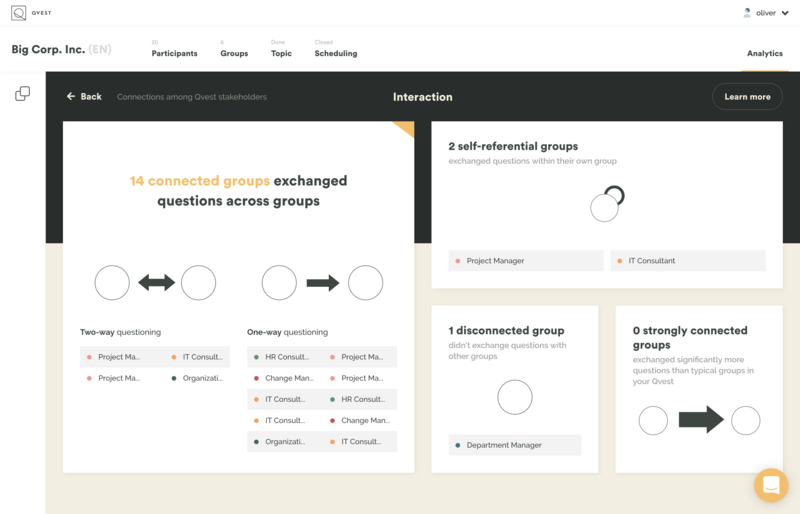 Your groups are considered strongly connected when stakeholders exchange significantly more questions across groups than other groups in the Qvest. Similarly, groups are considered connected when stakeholders exchange questions across groups. When stakeholders exchange questions within their own group, they are considered self-referential, and when they don’t exchange questions with stakeholders from other groups, the group is considered disconnected. The last feature in the Connections section unites the first two - the groups and their interaction - in the Qvest Network. Your Network connectivity is considered high when each of the groups are connected to more than 80% of the other groups. Similarly, connectivity is considered good when each of the groups are connected to more than 40% of the other groups. When each of the groups are connected to less than 40% of the other groups, connectivity is considered low. Depending on the average connectivity in your Qvest, you will get a message in the top box saying that your network is either strong, stable or unstable. 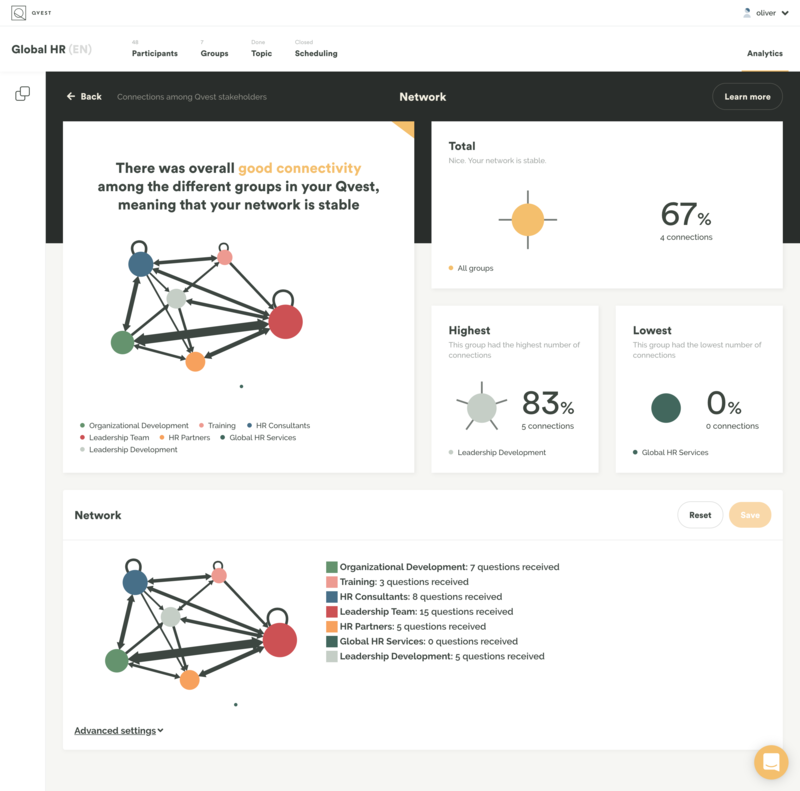 Below the Network findings, you can explore the questions and answers that were exchanged between the different groups by clicking the different strings.